Over 6,000 rare diseases, those affecting very small populations, have been documented in the world. For those affected, treatments are mostly non-existent, and if they do exist, are not affordable. 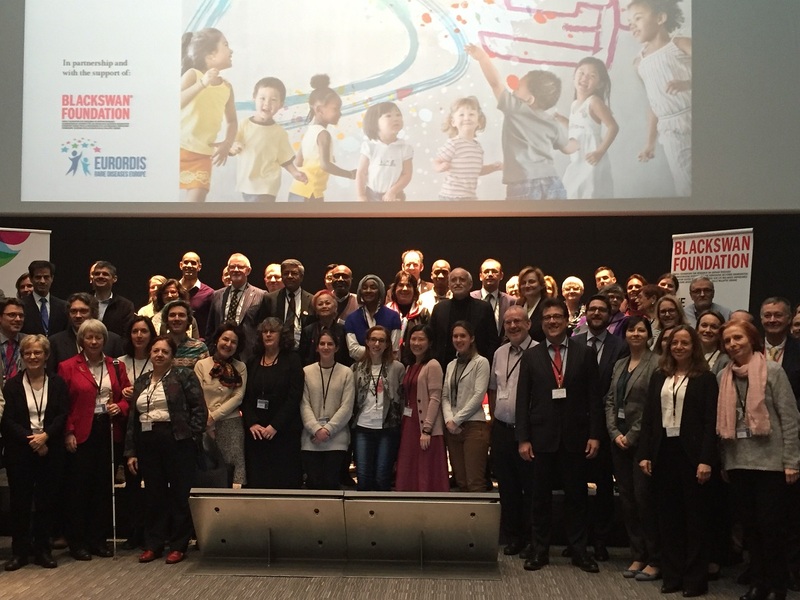 An event last week gathered a number of stakeholders, including rare disease organisations, the World Health Organization and the pharmaceutical industry to discuss the particular issue of rare diseases. The case of rare diseases is an exacerbated example of research, pricing, accessibility and affordability. The event, titled The Right to Health: the Rare Disease Perspective, was held on 10 February. The event was co-organised by the Swiss-based Blackswan Foundation, and Eurordis Rare Diseases Europe. According to the article, the European Union (EU) defines a rare disease as a disease affecting fewer than 5 in 10,000 people. Some 80 percent of those diseases are genetic disorders, they say, and half of them occur during childhood. Rare diseases affect about 30 million people in Europe, which roughly equals the estimated prevalence of diabetes in the European region, they said. Estimations are that there are 350 million people affected by rare diseases throughout the world, according to speakers at the event. A look at a list of rare diseases, or orphan diseases, on the Genetic and Rare Diseases Information Center (GARD), gives an idea of some gruelling conditions such as the absence of tibia, facial palsy, or leprechaunism, which is a condition characterised by extreme insulin resistance. Dainius Pūras, United Nations Special Rapporteur on the Right to Health, said the issue of rare diseases exists in all countries of the world. However, the problem is more acute in developing countries as it is difficult for people to access minimum standard of health care and essential medicines. Hawa Dramé, founder of the Fondation Internationale Tierno et Mariam (FITIMA) in Burkina Faso, also underlined the challenges for developing countries, including the lack of infrastructure, low number of specialists, and the diagnostic difficulties caused by the lack of technical platforms. Anders Olauson, chair of the New York-based NGO [non-governmental organisation] Committee for Rare Diseases called for cooperation between ministers in charge of the research and development budgets and health ministers. “Politicians are scared to death” about where the cost of health is taking them, he said. Politicians would say no to orphan drugs on the assumption that they are going to be very expensive, he said, but they are not more expensive than other drugs, “if you take the right perspective to it.” We have a strong educational journey ahead of us, he said. Ruth Dreifuss, former Swiss president, and co-chair of the UN Secretary General’s High-Level Panel on Access to Medicines, said there are two situations where traditional incentives for research and development (R&D) are not working. The first one is if people are too poor to constitute a large market, and the second is because a disease affects such a small number of patients that there is virtually no market. Rare diseases are not the same as neglected tropical diseases, which affect a large number of people. In the case of rare diseases, there is either no research and development (R&D) at all or if there is research being done, the products are then not affordable for most people. Dreifuss mentioned a case from when she was Swiss health minister, in which a medicine to treat one patient with a rare disease amounted to CHF 1 million (about US$ 1 million). The question was then, “can we put it on the list of available treatments,” she said. Only two patients were affected with this disease in Switzerland. This was not a large burden for the health system, she said, as two million francs is “nothing” in view of the global bill but the problem of rationalisation was put on the table on this occasion. The current system is not working, said Dreifuss. The case of rare diseases is the most visible case of the need not to rely on the intellectual property mechanism, but build on cooperation between the public and the scientific community, she said. Answering a question from the audience on how to bring different ministers at the same table to address the issue of R&D and access, Dreifuss said that decision-makers in the field of health are not sitting in the same rooms as ministers of trade and finance. Generally, the minister of finance has a stronger voice than the others, and also in their own governments, as in Switzerland, she said. Part of the solution would be to bring the issue of rare diseases at the same level of discussion as topics such as Ebola and antimicrobial resistance, to get the involvement of heads of states. Dreifuss also remarked during the discussion that allowing longer market exclusivity as a way to boost R&D can sustain high prices for many more years than a patent would. Other incentives should be devised than just relying on monopolies for the treatment of rare diseases, she said. Peter Beyer, senior advisor, WHO Public Health, Innovation and Intellectual Property Department of Essential Medicines and Health Products, intervening from the audience, on high prices said he “could not agree more” with Dreifuss. The expansion of exclusivity periods is going to perpetuate the problem of high prices, he said. He also remarked that the issue of pricing is not only affecting rare diseases but also other treatments, such as hepatitis C, mentioning the rationing of hepatitis C treatment in countries, such as Switzerland. He highlighted a WHO global report on access to hepatitis C treatment. Pressure needs to be applied on companies so prices can be brought down, said Beyer. The current system is not sustainable, he added. WHO has been working on expanding access, adding what has been done with HIV treatments can be replicated for hepatitis C, and rare diseases to lower prices through generic manufacturing. Data collected from the rare disease world benefit the whole of society as a number of block buster drugs were found following research on rare diseases, a participant told Intellectual Property Watch. Kevin Loch, chair of the International Federation of Pharmaceutical Manufacturers & Association Rare Diseases Working Group and vice president, Corporate Affairs and Policies, at Celgene, said IFPMA now has an international working group on rare diseases. The working group includes representatives from companies in Japan, Europe and North America. “We feel a strong emotional attachment to this [rare diseases], and want to contribute,” he said. There is a need to recognise that in many parts of the world, people with rare diseases are stigmatised and rare diseases are not a public health priority, which would be an “absolute first step,” he said. R&D is critical, said Loch, however developing new products is a long-term business which needs stability and predictability. “There seems to be an illusion” that industry needs additional incentives, but what the industry needs is predictable incentives, he said. The price of pharmaceutical products is a widely known and discussed issue, he said, but industry wants viable, sustainable healthcare systems where patients can get diagnosed and treatment, and can access our products, he said. Beyer, speaking on a panel, said there is no doubt that R&D investments are high, and R&D is risky. However, “companies will always price a drug at the highest possible level at which they will make the biggest amount of profit, because they are profit-driven companies,” he noted. In the coming years, it is expected that there will be a higher number of drugs approved by the US Food and Drug Administration and the European Medicines Agency, which means more new patented drugs and budgets cannot be expanded. This is the pressure health systems are facing, he said, adding that new drugs need to be affordable to patients and to health systems. Huub Schellekens, founder of the WHO Utrecht Centre of Excellence for Affordable Biopharmaceuticals in Low and Middle-Income Countries (UCAB), remarked that beyond the pricing problem, the length of time required to process submissions through the regulatory system is also an issue. He said that by the time the approval is granted, mostly about three years, the patients will be dead. "The Problem With Rare Diseases: R&D Lacking, High Prices, Discrimination, IP Issues" by Intellectual Property Watch is licensed under a Creative Commons Attribution-NonCommercial-ShareAlike 4.0 International License.